Of course you love to drink by the sea during summer. But rainy days may be the best time to visit Ruby's. Most boardwalk bars are good for only one season as a cool respite from the sand, sun, and surf. That’s not the case at Ruby’s, which has occupied the same creaky stretch of Atlantic-facing Coney Island real estate since a former beach-based knish salesman named Rubin Jacobs converted the Hebrew National Deli in 1975. Sure, the large room stuffed with communal wood tables, old-timey Coney photographs, and enthusiastic day drinkers is only opened a smidge past summer—from Memorial Day until Halloween—but the spirit of the place works even when the sun doesn’t shine. 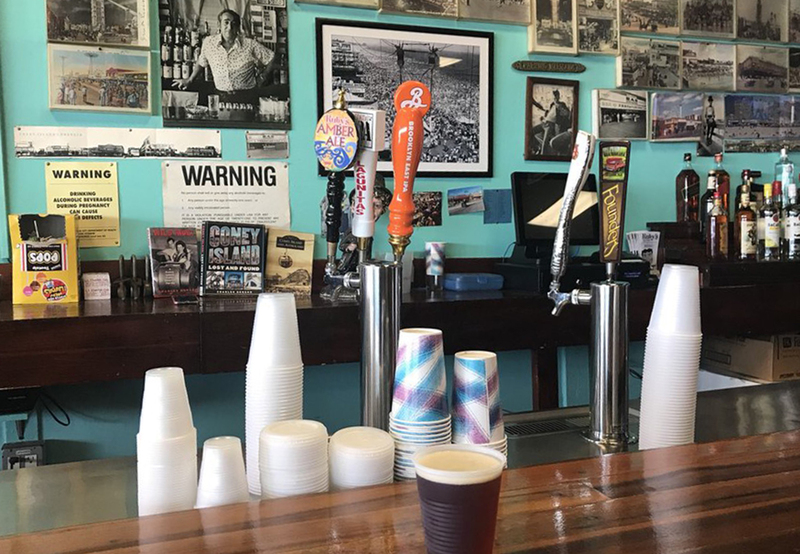 On a recent rainy September Sunday, I found myself sipping cheap beer from a plastic cup while flipping the pages on the impressive jukebox—and not wanting to be anywhere else. The bartender, a kind young woman with tasteful tattoos, chatted happily with the few patrons swaying on stools against the bar. 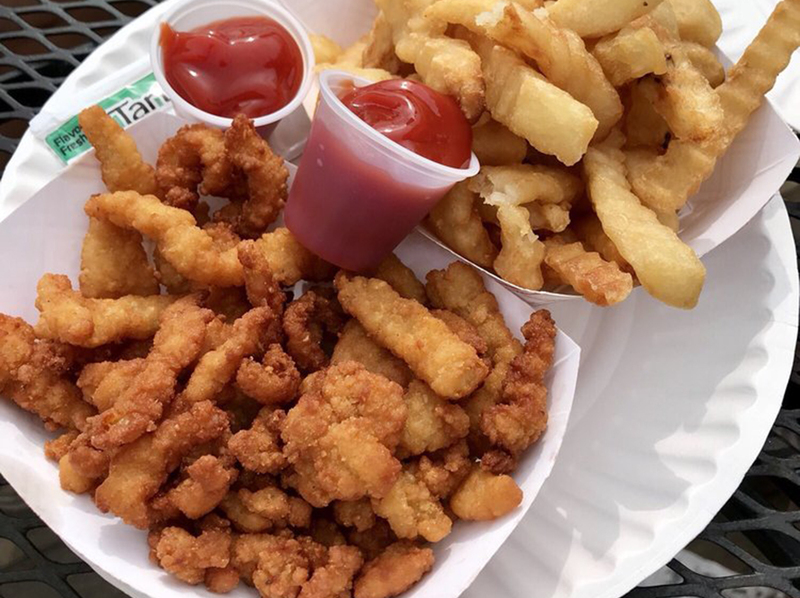 A table of four hipster tourists shared a Styrofoam plate of fresh clams served simply with lemon wedges, because why would you need anything more? Ruby’s is great for nostalgists of all ages. (And since it serves food, your kids are welcome, too!) 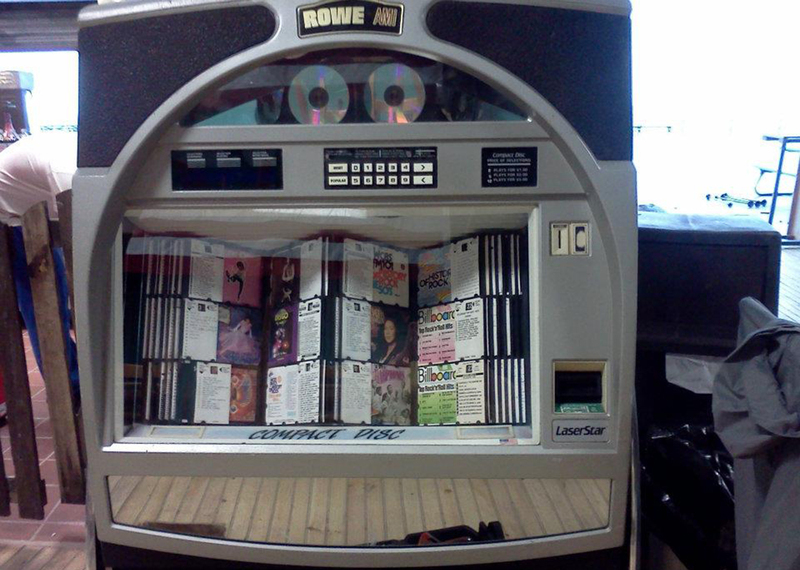 The jukebox has its fair share of oldies, but it also contains albums by the Clash, the Beastie Boys, Tom Petty, and many others. Two bucks gets you five plays. Another 12 gets you a couple cold bottles of beer. Soon it was time to go: We were due at an early dinner at a friend’s house. We walked the length of the 45-foot bar toward the boardwalk beyond the door. 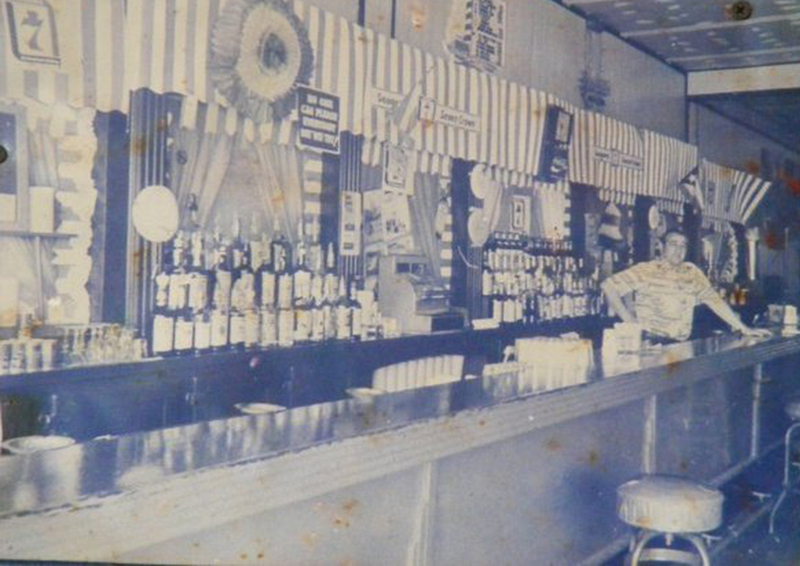 I noticed a photo of Jacobs behind the bar. In the shot, over the now-deceased proprietor’s shoulder, there’s a sign that reads: “No one can please everybody, but we try!” That sentiment gets at the heart of Ruby’s—friendly but realistic. We wandered past the motionless rides. (The mighty Cyclone was shut down due to the weather.) We popped into the Coney Island Museum gift shop a block inland and checked out gloriously freaky goods. Grimaldi’s beckoned across the street, but we’d have to eat there another time. With any luck, we’ll get back to Ruby’s before Halloween. It’s the rare boardwalk bar that is as inviting during July’s scorch as it is when the autumn wind begins to blow. Join us for a few rounds, won’t you?